The article ‘Daily Hair Care’ is all about to take care of your hair need. After reading this article, you will be able to say Good Bye to those Bad Hair Days. Your hair makes you look gorgeous, bold and beautiful. It is your hair because of which you attract the attention of other people. So it is natural that you will always expect that your hair will look good and as that as people like them. But certainly, your hair didn’t fulfill your expectations on every other day. Even though sometimes you feel disappointed because of your hair. The reason is simple; you are unable to keep them as you want and as others like them. In such a situation definitely, you would like to spend some time on your hair and then it is obvious to know about Hair Care. But before jumping into those hair care tips it is equally important to know that what are the factors, which affects your hair and hairstyle? 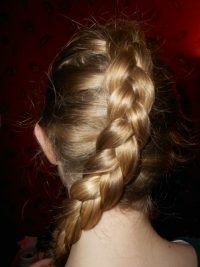 The biologists argue that the characteristics of hair of a person depend on several factors some of which are inherited. Some factors are genetic means that DNA programming is responsible for your hairs the way they look. The secretion level of hormones also contributes to hair looks. And after all, the entire environment especially the air and water greatly affect your hairstyle. That’s why every person some time experience the bad hair day. But if you are willing to take a little care, you can say goodbye to bad hair day, which might not be permanent and need your attention from time to time. * Stick to a healthy lifestyle. Give up your smoking habits, do exercise regularly, eat the balanced diet and use relaxation techniques when stressed. * Get a deep sleep at night, do not sleep with burdens otherwise you will have a disturbed sleep enough to trap into a bad hair day. * Before using the hair dryer, use a good quality towel to dry hair and then use the hair dryer to get rid of wetness. * Always use clean comb/brushes. Clean your comb/brushes with soap or shampoo on a regular basis. * Always comb/brush your hair downwards.